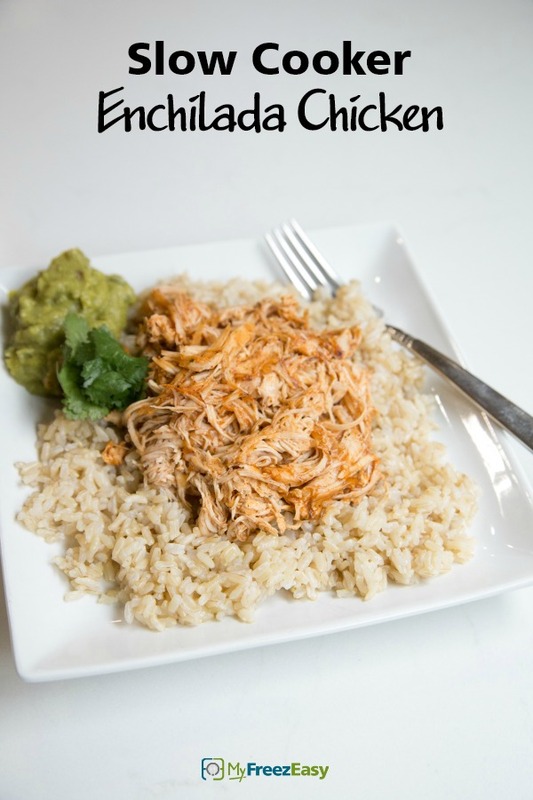 This Slow Cooker Enchilada Chicken is so versatile! It\\\\\\\'s packed with flavor and can be used to make tacos, tostadas, burritos, or just served over rice. It also makes a phenomenal filling for enchiladas. Enjoy! Place the chicken breasts in the slow cooker. Pour the salsa, red enchilada sauce, and taco seasoning over the top. Cook on low for 8 hours. Once finished cooking, shred the chicken into the sauce. Season with salt and pepper to taste. Prepare tacos with the shredded chicken with sauce and guacamole topping. 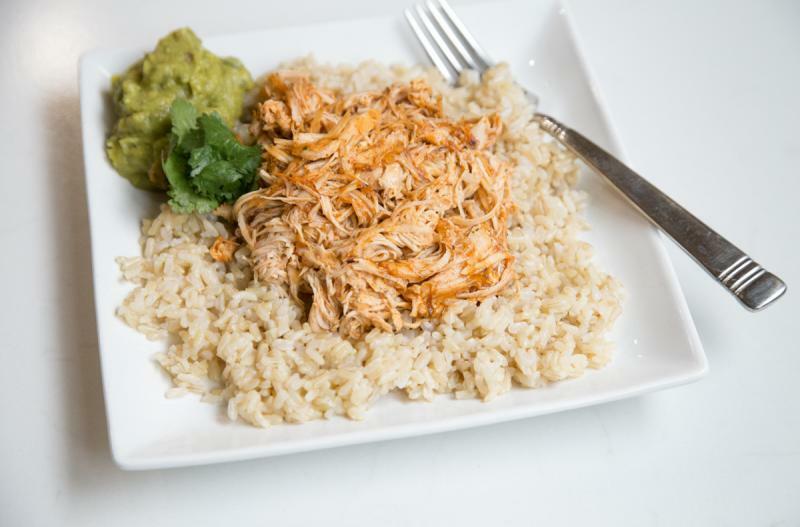 Serve Slow Cooker Enchilada Chicken with guacamole and veggies. Put baggie in the freezer and freeze up to 6 months in fridge freezer or 12 months in a deep freezer. Thaw in the fridge overnight, or a warm bowl of water for about 20 minutes, before adding contents of bag to the slow cooker. Slow cook as directed. Recipe is gluten-free when served with corn tortillas. Thaw, add contents of bag to slow cooker. Cook on low for 8 hours. Once cooked, shred and serve with tortillas or over rice.